With the Access Point Extreme Networks/Zebra AP8232 you pave the way for reliable Wi-Fi access for any number of mobile devices. 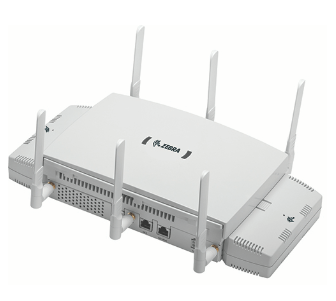 The access point supports both the fast 802.11ac standard 1.3 Gbps as well as 802.11n, to simplify the gradual change-over. This allows for up to four times higher transfer speed compared to the n standard. Thanks to its modular construction the AP8232 is also thinking about the future. Connect up to two expansion modules on the side for even more functionality in a minimal amount of space use the IPS module for more security against unauthorized access, the light sensor for automatic shut-off after business hours, or a powerful 4G LTE Backhaul expansion, which guarantees network coverage even in case of a loss in connection. Additional modules RFID, camera, etc. turn the AP8232 into a multi-functional access point in no time at all - while at the same time taking it easy on your budget. You reduce the number of stand-alone hardware, their corresponding cables and work load.